The Unikko pattern by Maija Isola is one of the most famous designs from Marimekko. The Solid variant shows the pattern not as usual in colourful nuances, but with embossed design. Now the floral pattern adorns the cotton towels in a more discreet but no less charming way with raised and recessed surface, creating a discreet design. With the familiar quality of Marimekko, the Unikko Solid Towel delights with soft cotton fiber that absorbs the moisture particularly well. In different sizes, the bathroom textile with Solid Unikko pattern is available both as a towel, guest towel or bath towel. 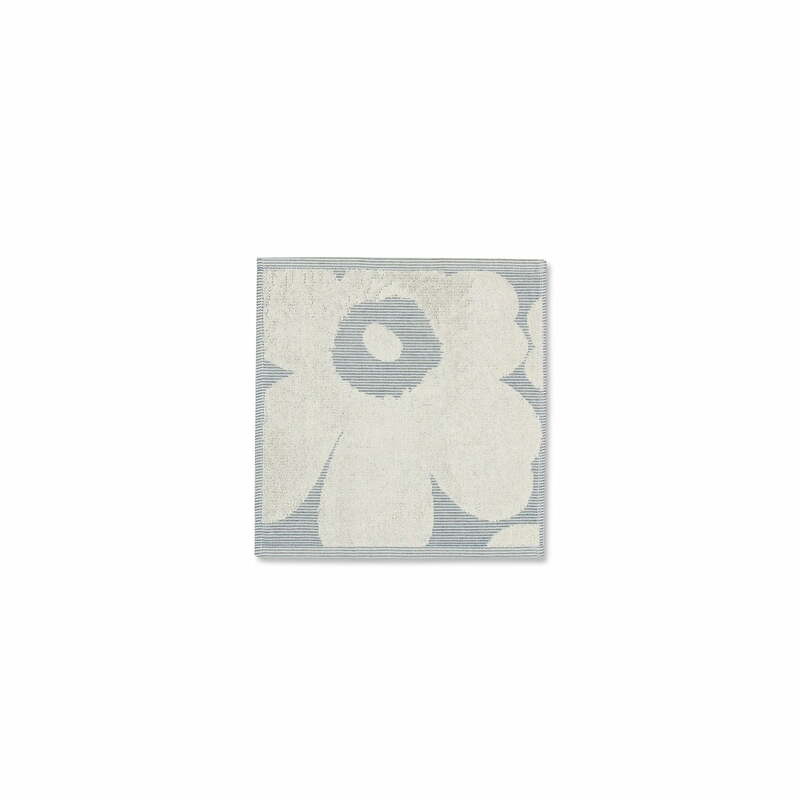 Isolated product image of the Unikko Solid mini towel 25 x 25 cm by Marimekko in cream white / blue. The Unikko Solid mini towels are manufactured from a soft cotton fibre.